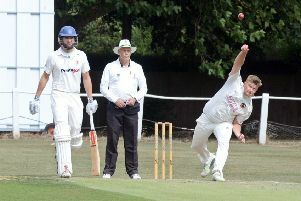 Conisbrough powered past Rockingham to remain right in the thick of a four horse race for promotion to the ECB Yorkshire South Premier League. The St Peter’s Drive outfit flexed their batting muscles to post an imposing 298-6. Openers Stuart Coleman (51) and Stewart Groves (58) laid the foundations. This was built upon by Arosh Jonoda with 35, skipper Amit Kundra made 39, Gary Strephan added 30 and James Doran hit a quickfire 37 not out. In reply Rockingham’s Muhammad Khan led the resistance with 66 and Nazakat Khan supported with 31. But the visitors’ challenge ended at 218-9, short by 80 runs. Strephan took 3-50 and Neil Spruce claimed 3-60. The victory means Conisbrough remain one point behind Houghton Main, who currently occupy the second automatic promotion spot, with a game in hand. They also closed the gap on Championship leaders Tickhill who lost at Elsecar. 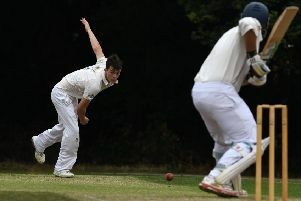 Fifth-placed Wath failed to do Conisbrough a favour as they went down by 37 runs at home to Houghton Main. Andrew Haupt top scored with 84 not out in Main’s 227-3. Damian de Vos opened with 34, Harvey Wootton scored 60 and Jack Whitlam made 47 but Wath closed on 190 all out.